Live streaming is not just fad, it is a valuable marketing tool that is here to stay. However, do you need it at trade shows? Yes! No matter how large the trade show you are going to may be, your audience will be exponentially larger on the internet. Plus, you end up with valuable video content that can be shared and repurposed after the show. Streaming doesn’t have to be hard or even expensive. 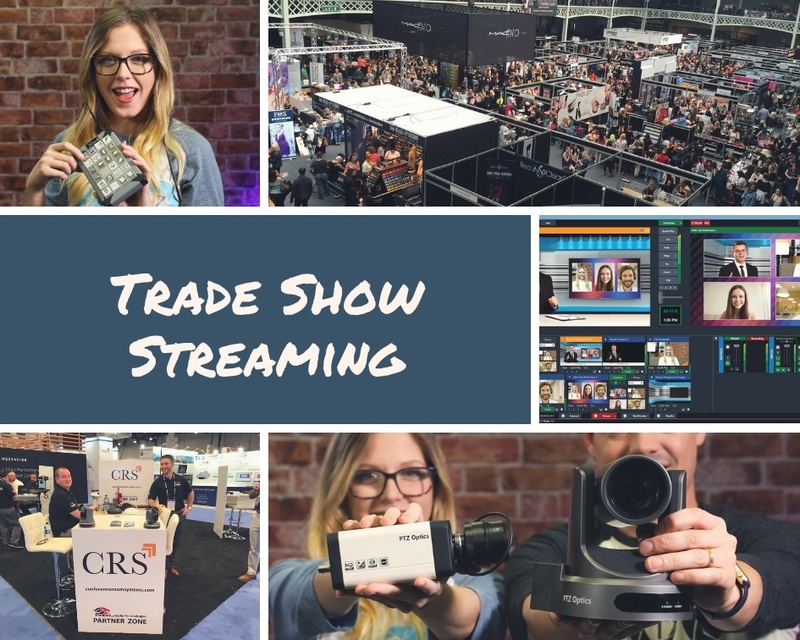 In this post, we are sharing our top reasons why you should be streaming trade shows and a range of options on how to do it, from practically free - to more advanced. Why Stream my Trade Show Booth (or my Clients Booth)? 1. Reach: No matter how many leads you scan, how many hands you shake, and how many people see your booth, you will never get the same type of reach that a live stream can give you. People can tune in from all over the world, ask questions in real time, and interact in ways never before possible. Send out the link to your clients that can’t make the show, send the link to everyone! 2. Attract: Studies show that when prospects watch a trade show live stream, they are 30 percent more likely to attend the next year. Give people a little taste of what they are missing and boost next years attendance. Plus you might inspire people attending the show to visit your booth when they may not have otherwise. 3. Social: Be social! Using live streaming can give you the chance to offer unique shareable content to your social networks. Think behind-the-scenes, tradeshow setup and breakdown, a tour of the show floor, product demos, customer feedback, and beyond. 4. Content: We all know that content is King and Video content rules all. Live streamed content doesn't disappear, every second you stream can and should be recorded for future use. Share the content, repurpose the content, add some to your b-roll, and more! Live streaming is one f the easiest ways to get quality, authentic content for your viewers. 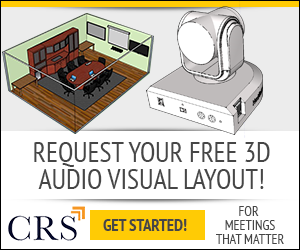 There are hundreds of ways to get started streaming, and here at Conference Room Systems, we want to help you find a solution that fits your budget and vision. Reach out to one of our streaming pros today to learn about the different options.